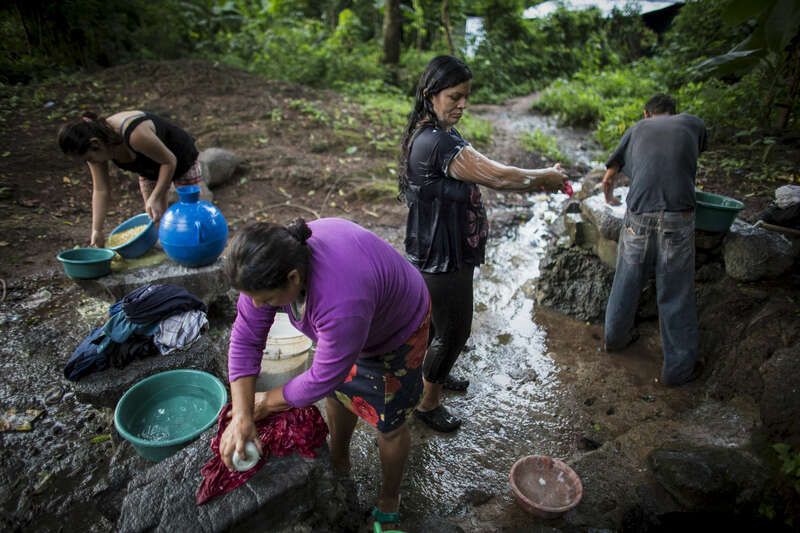 Cabañas, El Salvador- Maria Alejandrino, 34, (c) Teresa Serrano, 42, (l) a small community in Cabañas, El Salvador on Tuesday, June 26, 2018. Alejandrino and Serrano, like most people in their community of 112 families, has no access to running water and must come to the local well as early as 2am during the dry season for water. Even though politicians make promises during election season, the community has yet to see any change in their situation. Many have built make shift plumbing systems between homes to distribute water but most use rain water and community wells.